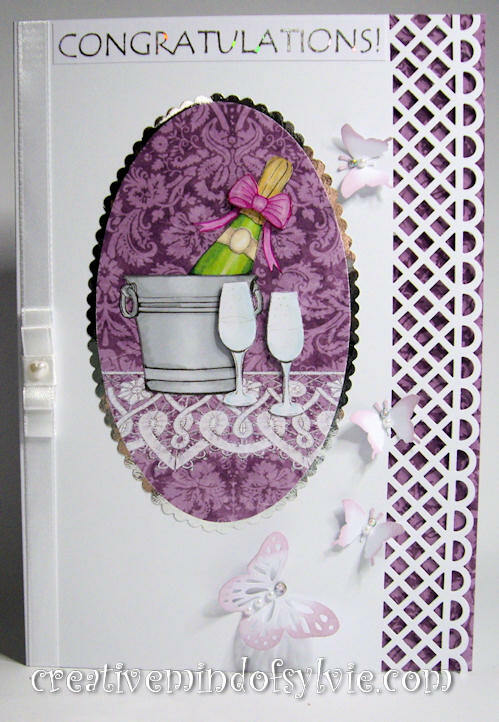 Creative mind of Sylvie: Celebrate! 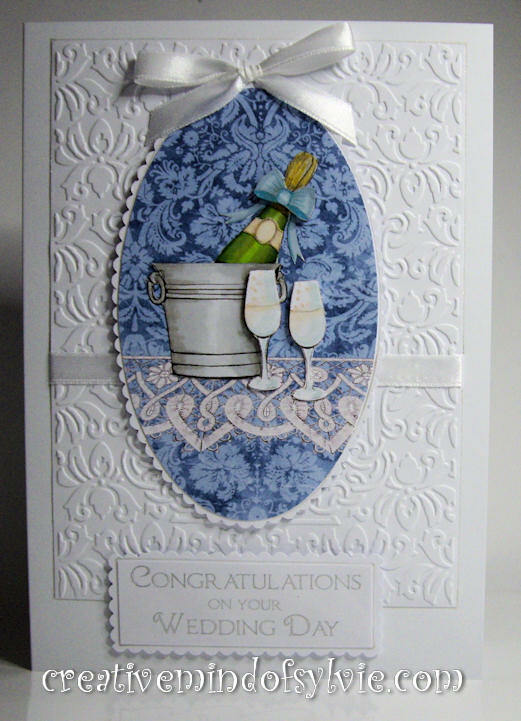 I'd like to share 2 cards I made using one of my own freebies and the background freebie available over at TLC Blog.... It comes in blue - I colourized the other one to create it in pink. 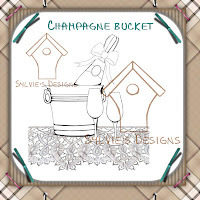 I drew the Champagne Bucket back in December and is available for free over at the Stitchy Bear Stamp shop.. It comes as a JPeg, Tiff and PNG formats.. which allows a background to be added. I used promarker pens to colour the image. Isn't it amazing what can be created for free!